Homeschooling special needs children often means there is more to our homeschool. I am often including different types of therapy in our homeschool day. Our youngest son, in particular, has significant speech challenges. We are often working on dictation. Recently we have been using Forbrain from Forbrain – Sound For Life Ltd to work on pronunciation. Forbrain is an award-winning device designed to improve speech, attention, auditory processing, and more. The headphone like device blocks out environmental noise, which helps you hear yourself more clearly. It uses a technique that is often used by many speech-language pathologists and speech therapists, but it can be used at home. I find the technology to be really interesting. It uses bone conduction to enhance voice vibrations to the brain. This actually enhances long vowels and other sounds that are important to building language. This sound is delivered through bone conduction, not the ears or air conduction. I am really fascinated by this type of information. I like to know how things work! We have been using the Forbrain with all of our children, but I have been focusing on using it predominantly with our youngest due to his significant speech delay. It is recommended to use it for 15 minutes per day. Chaz is 6 years old, and he has challenges with key sounds like “l,” “th,” “ch.” It is recommended to use in this way for a session of 6-10 weeks. We haven’t been reviewing it for that long yet, but I have already noticed some improvement. The biggest improvement I’ve noticed so far is how carefully he is speaking when he is wearing the Forbrain. Although he is not clearly pronouncing the sounds he has challenges with, I can tell he is more aware of the fact that that those sounds are missing. He is slowly working on speaking them correctly, and I’m confident with continued use as recommended he will, indeed, be able to speak all sounds clearly. 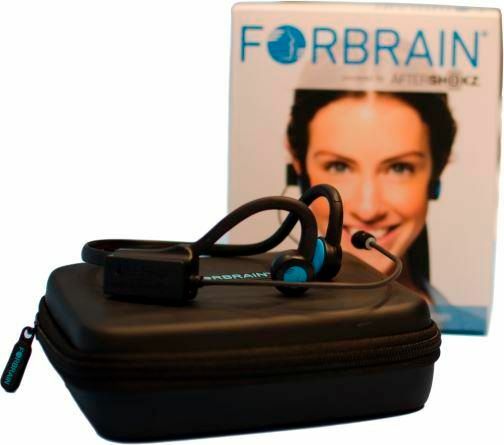 The Forbrain includes a charging cord, instruction and information manual, and nice case. The manual not only includes the information on the time recommended for sessions but also proper use as well. It stresses the importance of proper posture while using Forbrain. It’s a challenge to get a 6 year old to sit properly, but we did our best. Forbrain can be used in multiple ways. For our older kids we actually use it while they are working on their poetry memorization. Not only does it help with their dictation, but it’s noted to help with memorization as well. They can also use it while reading out loud. For a young child like Chaz who can’t yet read it was noted that they could read along with a parent. It recommended to basically have him read over me, but I found it was best for me to read first and then have him repeat what I read. This way he could really hear himself and focus on what he was saying. We have been using the same book repeatedly so he could keep practicing the same words and sounds, and also see how he progressing. Overall, I think Forbrain is wonderful. 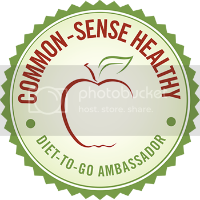 It’s definitely something that is making a big difference in our home and homeschool. It is a huge blessing and has filled a void in an area that was challenging for our son. Many Members of the Schoolhouse Review Crew had the opportunity to share their Forbrain review. Check out their reviews by clicking on the banner below!